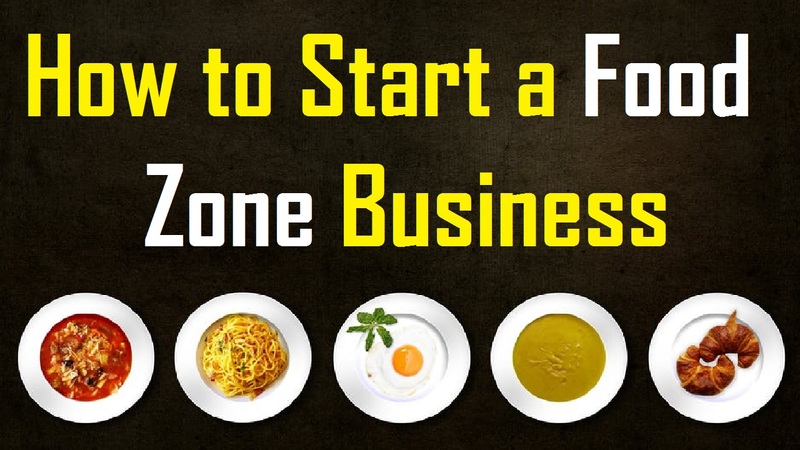 Food zone business is a great way to make money. You have to have a passion for food. At times you might have to be a critic. Because in order for you start a food zone business you need to have enough knowledge about food. I would suggest you start from little. You could open up a food zone cart. This way people will know you well, you will get more fame. Then when you have a good amount in your pocket you can open up a big food zone. Remember a food zone is like a mini market. It is the place where there are all kinds of food. The first thing that you need to take in consideration is location. Where you locate matters big time. You need to choose a huge is, for you food zone. You will be selling all kinds food. Like: bakery times, canned foods, juice bar, green groceries, liquor, your cooked/baked items and so on and so forth. Get a license for your food zone from your local council. How you decorate you zone matters as well. You need to attract your customers by the ambiance. If you fail to attract them you might lose a few of them. Generally, a food zone looks like a super shop. But it does not necessarily mean your ones have to be as boring and monotonous like the others. You could always do something different. Shelves, refrigerator, and other stuff will always be other for packet foods. You can put up small tables and chairs for your customer to sit. Maybe some music would be good. Decorate the walls. Do not forget to focus on the lighting. Keep an image of what you aim to achieve in life. Before hiring, train your employees. Keep the employees under three-month probation. There will be two groups of employees: one group will look at the shop side of your food zone, putting the packet foods in each shelf accordingly; another group will serve your customers. Do not forget to the background check and drug testing. Purchasing equipment is vital for your shop. You will need CCTV cameras, burglar alarms, coolers for drink, oven, a cash register, shelves, tables and chairs and credit card processing machine. Make a good relationship with suppliers. Wholesalers need to supply you with the goods that you sell. You can also get your suppliers from a price club store. This way you will be saving money. Giveaway pamphlets and brochure in your neighborhood. Do a grand inauguration for your food zone. You may want to give away free foods for the first 100 customers. Maybe invite a celebrity to your grand opening. Might a get a little expensive but you will grab many customers this way. Put up boards inviting people for your opening ceremony. Give discounts as much as you can. Advertise your food zone in yellow pages and other advertising pages. Open up a website of your own. This unique business, it may require a huge amount of investment but you will not be disappointed by the outcome you will get afterward. Go ahead chase your dreams.